Okay, maybe that was a bit melodramatic, but I'm sorry, I'm feeling a bit melodramatic at the moment. Here's the deal. My name is Brooklyn Pierce, I'm fifteen years old, and I am decisionally challenged. Seriously, I can't remember the last good decision I made. I can remember plenty of crappy ones though. Including that party I threw when my parents were out of town that accidentally burned down a model home. Yeah, not my finest moment, for sure. But see, that's why I started a blog. To enlist readers to make my decisions for me. That's right. I gave up. Threw in the towel. I let someone else decide which book I read for English. And whether or not I accepted an invitation to join the debate team from that cute-in-a-dorky-sort-of-way guy who gave me the Heimlich maneuver in the cafeteria. (Note to self: chew the melon before swallowing it.) I even let them decide who I dated! Well, it turns out there are some things in life you simply can't choose or have chosen for you—like who you fall in love with. And now everything's more screwed up than ever. But don't take my word for it. 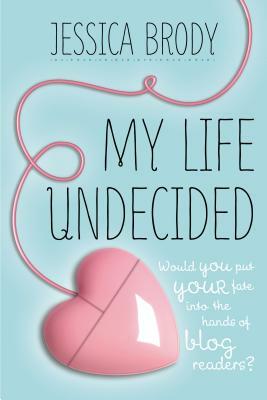 Read My Life Undecided by Jessica Brody and decide for yourself. You'll laugh, you'll cry, you'll scream in frustration. Or maybe that's just me. After all, it's my life.